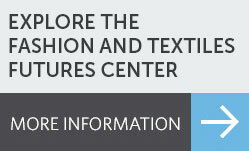 Fashion merchandising and management at Thomas Jefferson University can jumpstart your career in the fashion industry with cutting edge curricular options and real-world experience both in and out of the classroom. You will have the chance to explore different centers of fashion both home and abroad, and will work on collaborative projects to gain a global perspective and gain real, professional experience and connections. The program partners with Xcel Brands for students to develop branding strategies while instituting elements of design thinking. 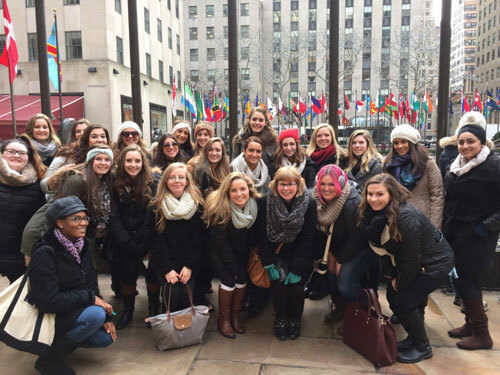 In your second year you will have an opportunity to participate in the New York Immersion program, where you will be completely immersed in fashion experiences that occur in New York City through weekly visits to NYC fashion companies and organizations. This exciting program provides students with a great deal of insight to the fashion industry, and build your network through interactions with professionals in the field. You will also experience New York’s Fashion Week, gaining “behind the scenes” experience of the fashion shows, and visiting museum exhibitions, art galleries, boutiques in SOHO and the sophisticated stores of Madison Avenue. You will finish the program with a group project producing a concept to present to a major designer. This exclusive first-year program gives fashion merchandising and management students an opportunity to participate in the Parisian fashion scene. 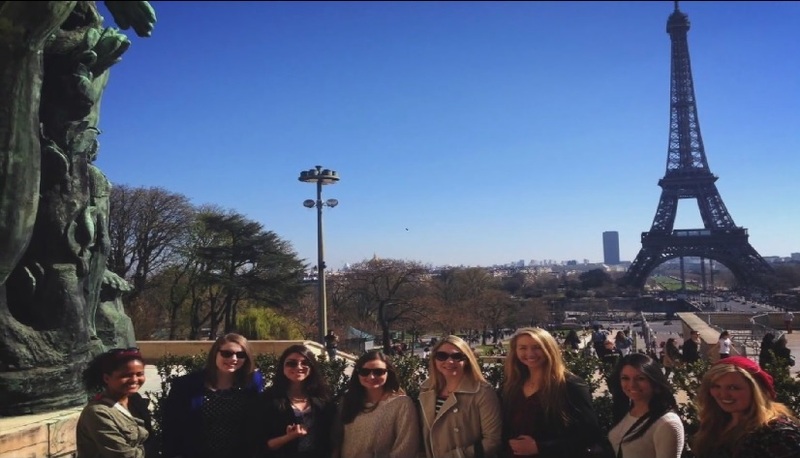 During spring recess, you will travel to Paris, the City of Lights, to visit major fashion designers and companies, tour fashion show rooms and retailers, experience the Louvre and travel to Versailles. The fashion merchandising and management faculty and alumni bring an incredible network to students in the program. This results in amazing connections, internships, and job opportunities, even while you are still in school. What's even better: fashion merchandising and management students from Thomas Jefferson University have an excellent reputation for their hard work and skill in the field - take a look what someone in the industry has to say! “This is an easy one. Jefferson students, in our experience, have been intellectually curious, hard working and the most sought after interns as a pipeline for our companies. We have worked with students since we opened in 1994 as interns, part-time, entry level members of our team. Our first manager was a graduate of then Philadelphia Textile and Science and our present manager is a graduate of Philadelphia University as well as her fiancé. Students also work with us on special events through the fashion organizations on campus. A Philadelphia University education is a worthwhile investment in your young adults future."